I purchased the shower buddy about 18 months ago and it has been an absolute dream to use. I was diagnosed with ALS in 2009 and my loss of mobility continued to progress until I was no longer able to enter my shower with a wheelchair because of its 6 inch high threshold. 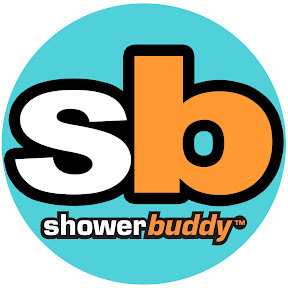 I discovered the ShowerBuddy online, which seemed to be the perfect solution. As a result of this device, I did not have to remove my shower threshold because the shower buddy’s rail system easily cleared my threshold and adjusted to my shower base so that the differences in height were easily overcome. When I need to take a shower I simply transfer to the shower buddy’s wheelchair, which easily connects to the rail system and the chair and I slide into the center of the shower with hardly any effort. The system’s design is brilliant and the quality of manufacture is excellent. I would highly recommend the shower buddy system to anyone whose loss of mobility prevents him or her from entering a shower because of an elevated threshold. My father was diagnosed with ALS a few months ago. We were referred to Brandon for installation of a Shower Buddy. We were contacted immediately and an appointment was set. We wanted to avoid the hassle and expenses of a complete remodel due to accumulating medical expenses. Brandon was able to successfully install a Shower Buddy in our customazied bathroom. The product is easy to use, stable and it's mobility and accessibility is truly unlike anything I've seen. We were beyond pleased with the product and services. It's been a true life saver to say the least. We love the product and our customers are grateful when we show them an alternative to an expensive remodel. We are now starting a rental program for customers who have a temporary disability, the nice thing about these chairs is that the cushion can be replaced easily and the whole chair assembles without any tools. Unbelievable! This is a great, awesome, system. Works great, after a few slight adjustments I was able to give Dani a real shower! He was not sure at first but was also very happy with the safety of the whole operation. Thank you for the follow up and great service that you have provided. I must also say we appreciate your true from the heart service! I will certainly recommend your business to everyone I come in contact with. I let the University of the Pacific Physical Therapy Director in front of the whole class of future doctors know how happy I was with your service. Keep up the good work. The OT that prescribed the shower buddy has just rung to tell me that Sarah the mum of the 6 year old boy we hired SB to is delighted with the result. It has enabled her to get Homecare in as previously they would not come because Ashton needed to be lifted. She described it to the OT “Life changing”. Anyway she is all talk about buying this one and another one. Will keep you posted!! Cheers. TAs one of Showerbuddy’s “stars”, I must tell anyone who’s interested that this equipment has solved one of the major issues of my disability..that of taking a shower, independently and at ease…If you need to beg, borrow, or steal, get one if you need it!